In an environment of high correlation, where can we gain diversification benefits? 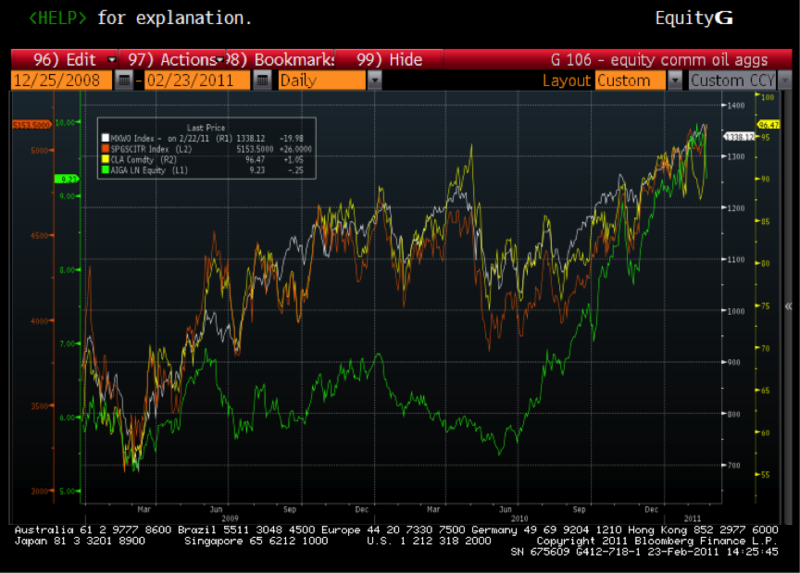 And with such a significant divergence of returns within the commodities space, which ones look interesting and why? With so much focus on China, which investment opportunities have the strongest demand outlook? By the end of last year the 12 month correlation between asset classes had risen to a near record high of almost 0.8 against a historic average of 0.5 (according to Goldman Sachs using data from Datastream and MSCI). Whereas the increase in speculators in the oil market led to the commodity being traded inline with other risk assets, the speculators in the agriculture space (now amounting to around 80% of the market) have continued to trade according to weather patterns. In addition to the portfolio construction benefits of investing in this space, the supply and demand dynamics for certain crops are attractive. 3 years of poor yield (due to weather disruptions) has limited the supply of many. China, the focus on the demand side, has just started to import corn (2 – 3% of total consumption but the beginning of a trend) and signed a $1.8bn deal to import soya beans from the US. How strong is this demand? The USDA (United States Department of Agriculture) reported that despite increases in the price of corn, consumption will be left “undimmed”. With the EU proposing to loosen import restrictions, the case strengthens. Moreover, in addition to having a limited “shelf life”, the capacity for storeage is limited. India left a third of their food to rot last summer due to this fact. Finally, comparing the demand dynamic with that for certain metals highlights another key point. Keeping in mind the already high inflation figures coming out of EM (suspected to be higher than published figures in certain cases), some countries will be under pressure to reign back infrastructure spending which would dampen demand for commodities used in construction. However, with China having 14 million new mouths to feed each year (more than twice Ireland’s population), the question is do you think the higher risk is that China will cool their economy or let any of their people starve? Follow this link to read the article, as published in The Huffington Post.